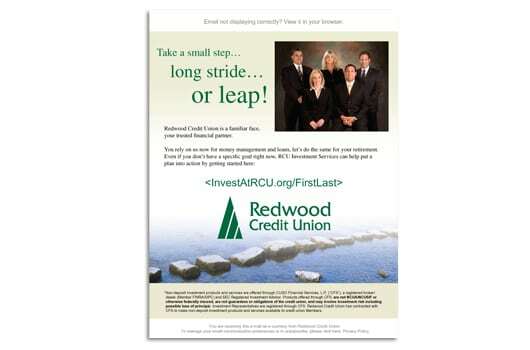 Redwood Credit Union is one of the largest credit unions in California’s North Bay. 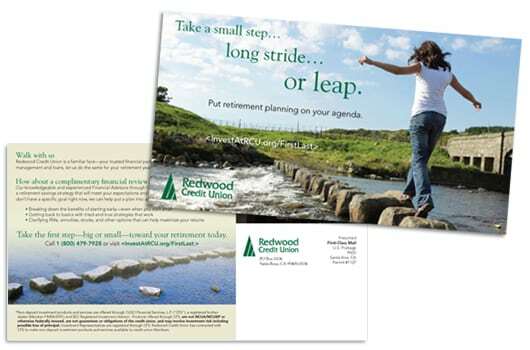 With a goal of increasing investment sales to current members, RCU looked to us for a comprehensive online/offline campaign. We decided on a process that would deliver qualified prospects interested in investment products to RCU. 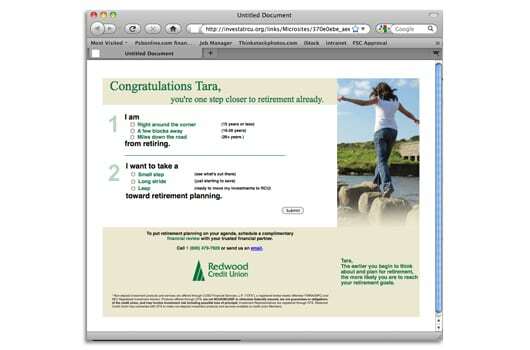 Using a combination of Direct Mail and email, members were directed to a Personalized Web Page (PURL) and answered two simple questions to determine their likelihood to invest. These answers were available to RCU in real time through a secure online campaign-tracking portal. Using this insight, each qualified prospect was contacted for an appointment to discuss financial goals.